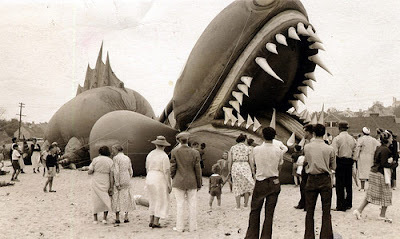 In the summer of 1937, Tony Sarg and several others promoted a hoax in Nantucket. 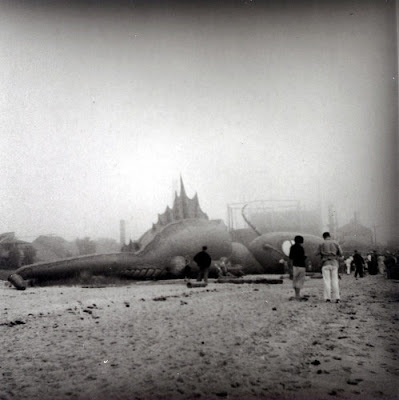 Then, the serpent appeared on South Beach (now Washington Extension - not where it was intended to land! ): it was one of Sarg's Macy's Day Parade balloons. Tony Sarg (1880-1942) was an American puppeteer, illustrator, designer and painter. 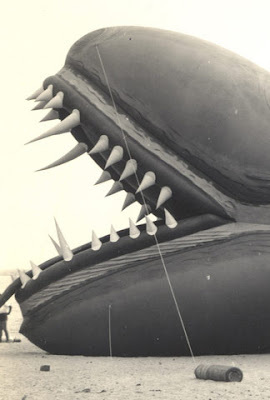 He is famous for creating balloons for the Macy department store parades and many illustrations for magazines. He owned a store in Nantucket, the Tony Sarg’s Curiosity Shop. All of Nantucket must have visited. 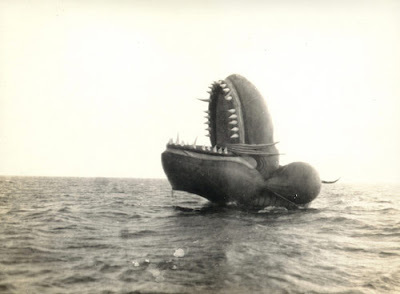 There are photos of this "sea-serpent" from many scrapbooks of the era.